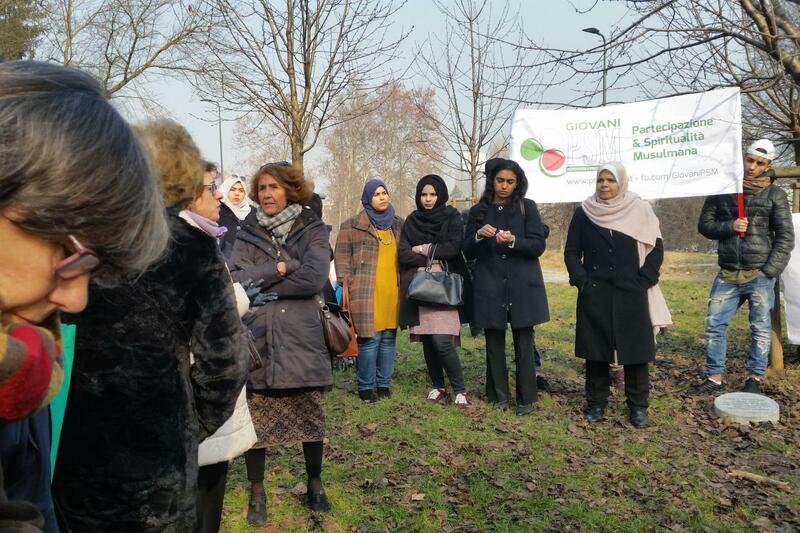 On the occasion of the International Holocaust Remembrance Day, Gariwo and the Young Muslims of Italy, together with Sumaya Abdel Qader, organized a visit to the Garden of the Righteous Worldwide of Milan, Sunday the 29th of January 2017. 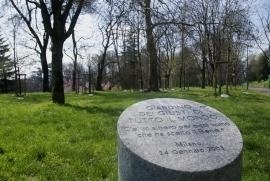 The Garden of the Righteous of Milan is a universal place of memory of good, where are remembered Italians, Jews, Armenians, Russians, Arabs that have been able to rescue the other surpassing every ethnic, national, religious obstacle because the most important homeland of men is the common humanity. 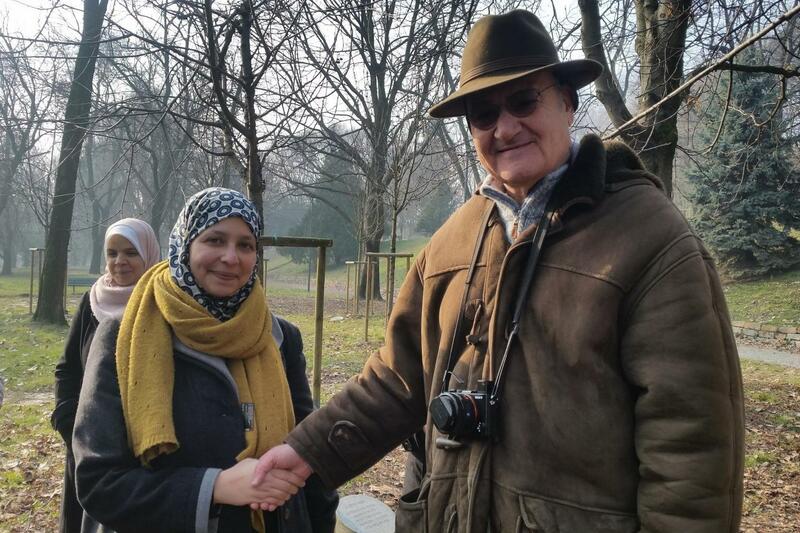 “As soon as Nissim, months ago, introduced me to the project of the Garden of the Righteous, I have fallen in love with it because I share the same spirit and the same long-term outlook”. 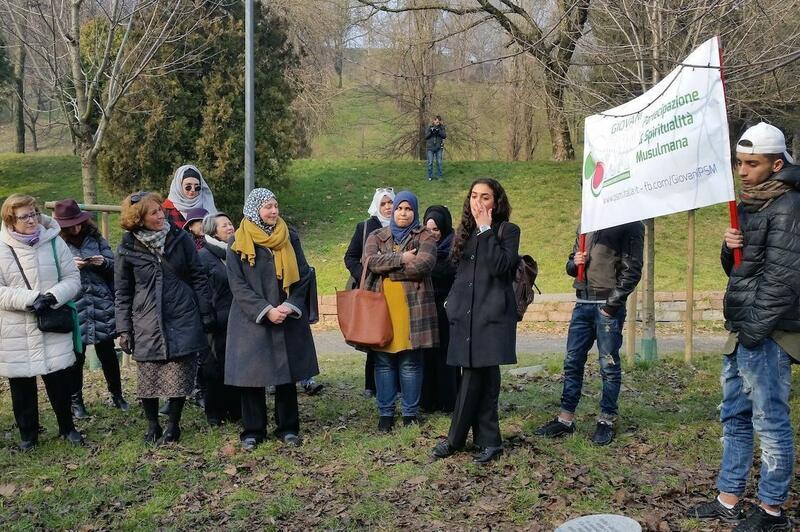 This is how Sumaya Abdel Qader, Councillor of Milan (PD), have received the proposal of the president of Gariwo and have involved the Young Muslims of Italy-Milan. 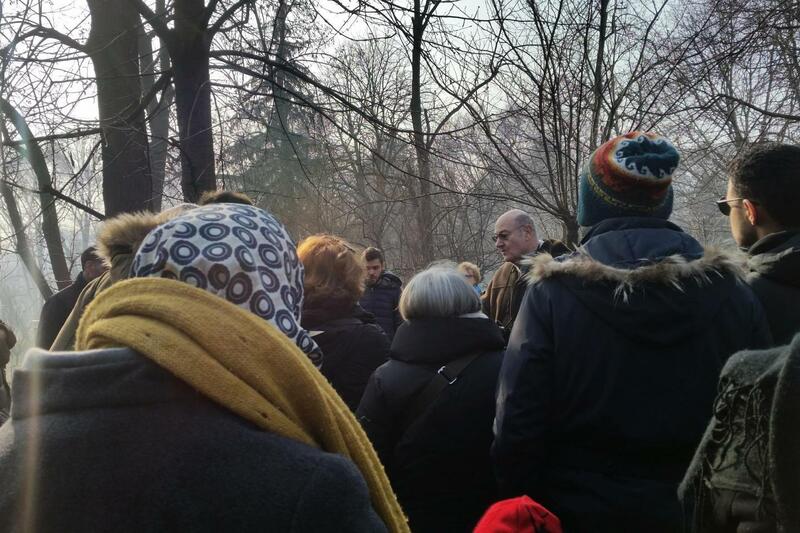 “We wanted the visit to the Garden to coincide with the International Holocaust Remembrance Day in order to send a stronger message: our proximity with the Jewish community in the moment of a painful memory and the desire for openness, that is desire for listening, debating and supporting every initiative aimed at safeguarding the Creation and Humanity. 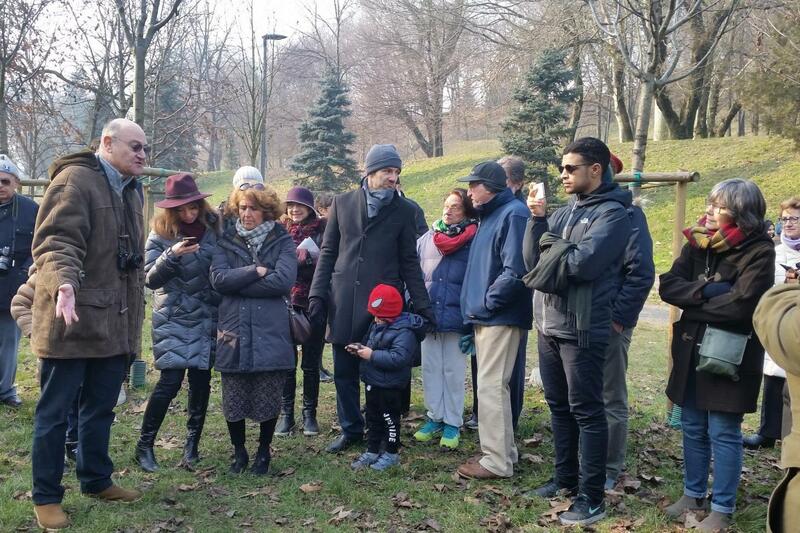 This is also because we want to participate in the battle against anti-Semitism and any form of discrimination. 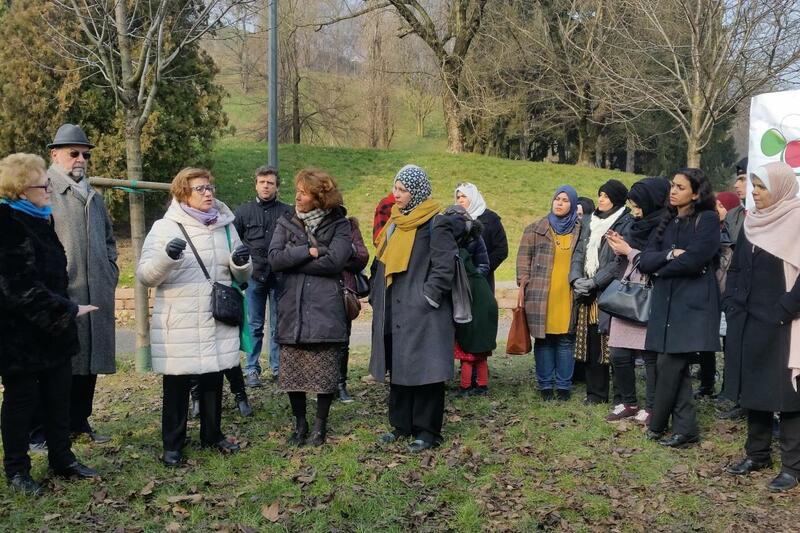 The Islamic communities have finally become stable in Italy. Feeling stable means stepping out of the emergency mentality that aims primarily in answering only our most basic needs. It means starting to look around and want to interact. It means becoming an integral part of the country. This is true particularly because of the new generations”. 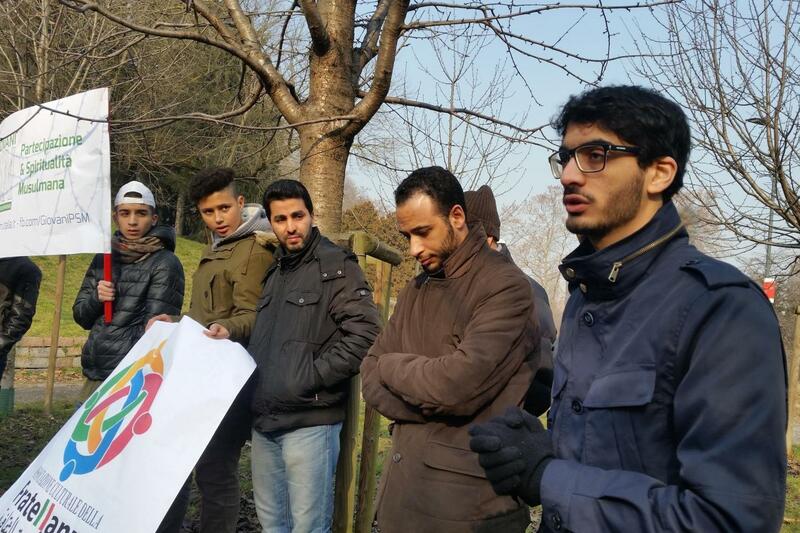 Adhering to the initiative are other Islamic associations (Giovani-PSM, Associazione Islamica di Milano-Moschea di Maria, L'Associazione Italiana degli Imam e delle Guide religiose, Centro Islamico di Milano-Sesto, Giovani Musulmani d'Italia-Milano-Monza e Brianza-Sesto San Giovanni). 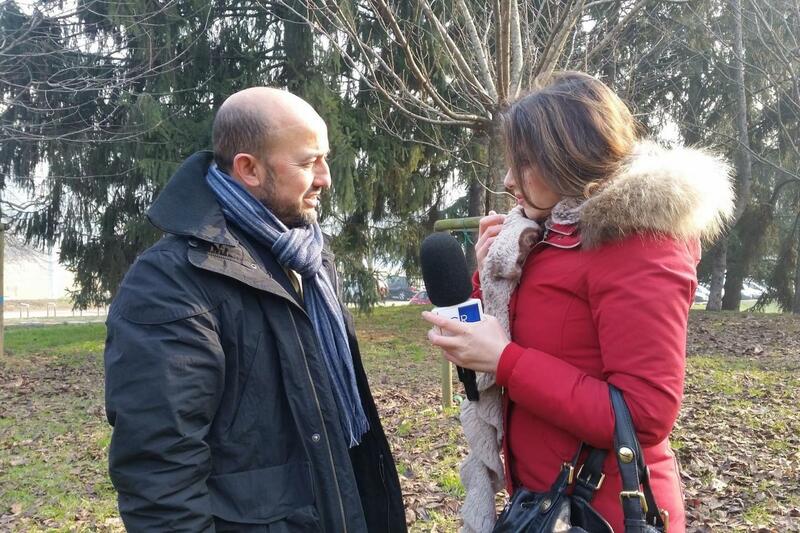 In the torn social fabric of a country where a genocide case or other crimes against the humankind have occurred, it is very difficult, even after many years, to resume a kind of dialogue to re-establish relationships and rebuild civil coexistence between the victims - including survivors or their relatives, refugees and their heirs - and the persecutors, accomplices or passive bystanders. To this we should add the role of the State, its officials and government members, who often try to deny what occurred and refuse taking up the - however apparent - responsibilities of the massacres. Only the reaction and heeding ability of those who have not bowed their heads to the uniformation of behaviour within the group of the persecutors and have refused to conform to a conduct which conscience cannot approve, can allow people to resume a kind of communication which is able to combine the need for truth and the assumption of responsibility with an opening to future hope and a shared project-making. The Righteous are the only ones who have what it takes to do that. Marek Halter presents his new book "Faites-le"